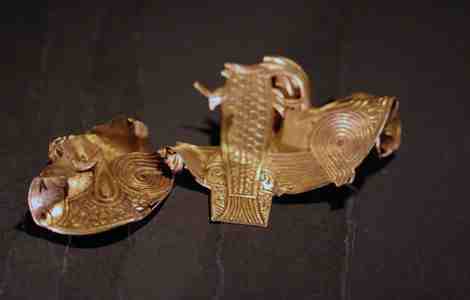 Tales of treasure hoards in England abound and many have been discovered across the country. But none like that of Terry Herbert, the subject of National Geographic’s Lost Gold of the Dark Ages, who in July, 2009 discovered England’s largest trophy hoard ever. 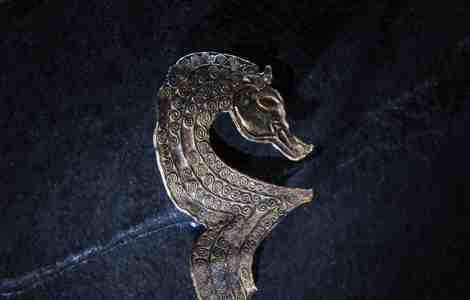 The 11 pounds of gold, 3 pounds of silver, and numerous jewels in the Staffordshire Hoard is valued at £3.3 million. The hoard was located on the old Roman road of Watling Street(now A-5) in Staffordshire in the English Midlands. All of the 1500 artifacts are associated with males—related to warfare (ornamentation from swords, helmets and shields) or religion (crosses).